Apple has unleashed AirPods Generation 2 (really 1.5?) on the public and no doubt these practically ubiquitous ear buds will continue to sell like hotcakes. Yours truly has picked up a pair with the wireless Qi charging case and I will provide my musings on these next gen pair. 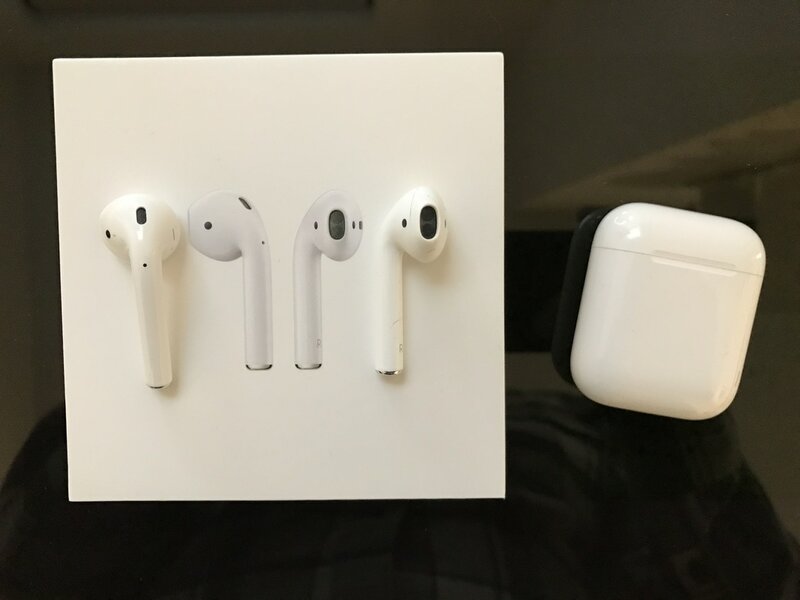 To be upfront and honest, not much has changed in terms of the look and overall sound quality of these new AirPods, so for a much more comprehensive view on AirPods check out my review here. I should note, that I owned a pair of the first generation for over two years which eventually suffered from extreme battery degredgation almost to the point of being useless. Those were taken to the Apple Store for disposal, thanks and good riddance. First up, is the new Qi charging capable AirPods case. Major change here is that the case will now charge itself by placing it on any standard Qi charging tablet or disk. Apple has moved the charging indicator light from the internal "shelf" of the last generation to the outside of the case. The light illuminates upon first placing the case on the Qi charger, stays on for about ten seconds and then goes dark while continuing to charge. Personally I would prefer if the charging light would stay on while charging, as long as case is receiving power, Not really a big deal. Still present is the lightning port for fast(er) charging. 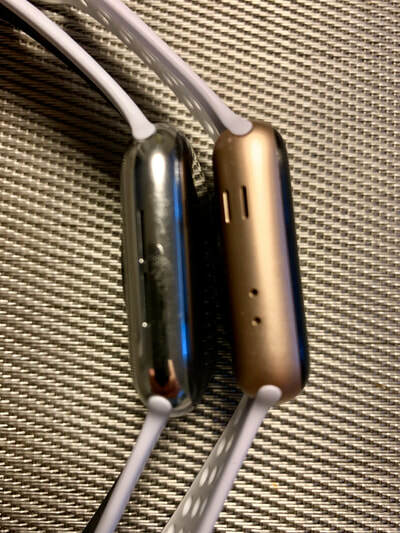 There's not much else different on the case with the exception of a matte hinge for the case top as opposed to the shiny metallic looking hinge for the older case. The hinge and top of the case still has that same "pleasant' flip and close. With the case out of the way, now let's get into the AirPods themselves. On the outside, same look, feel, and overall design as the first generation. 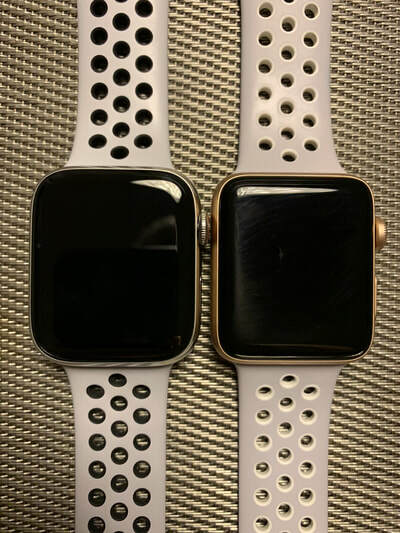 With these, it's all about the new chipset called the H1 which many folks believe stands for "Headphones" to distinguish itself moving forward as the chip design specifically designed for wearable audio devices, as opposed to the older W1 and newer W3 used in the Apple Watch. The H1 in combination with Bluetooth 5.0 standard allows for better bluetooth streaming and more reliable connections,. The H1 chip also has enabled faster connections to your iCloud devices. Switching from my iPhone to an iPad takes approximately four seconds to connect. That's about a 1-2 second connection improvement over the first generation. Battery life is claimed by Apple to be 5 hours of use with an extra 24hrs of case charging time, which are in the ballpark when compared to the first generation. Fast charging the AirPods for 15 minutes gives up to 3 hours of use which if you are on the go, can be really useful. The improvements offered by the H1 over the W1 chipset offer increased amount of talk time on phone calls. I have not yet tested this so I'll take Apple on their word for this one. One of the biggest improvements of the generation 2 AirPods is the "Hey Siri" function. In my use I have found the functionality to be extremely fast and smooth. I especially like the ability for Siri to take full command sentences and action on them almost immediately. It's certainly not as fast as on-board local process could potentially be, but for now I will take it. For example, I can "Hey Siri, lower the volume", or "Hey Siri, Overcast MacBreakWeekly", and Siri will immediately process that command. Remember the first generation process of having to double-tap the AirPod, wait for Siri to provide the audible ready sound, issue your command, and finally wait for Siri to process. The new "Hey Siri" command and accompanying hardware makes this process seamless and so much more convenient to use. Another advantage of having a vocal command to activate Siri is that it now frees up a slot in the command mapping list for each Airpod. I have removed the Siri double tap for my right AirPod and replaced with next track and now map my left Airpod to previous track. Convenient and consistent thanks to freeing up a mapping that used to be assigned to activating Siri. Now on to the elephant in the room, sound quality. These new AirPods do not raise the bar in any way in terms of sound quality or the ability to overcome noisy listening environments. AirPods are still mediocre at best in specific terms to bass response and noise isolation. Airpods are good for relatively quiet, indoor environments but require pumping the iPhone sound levels to near three-quarter to full-max volume levels for anything more than a soft voice in the background. Some may not mind this, but as a busy commuter in NYC and someone that doesn't mind drawing out the conversations going on around me, the AirPods still have a way to go. Rumors prior to the release of the second generation AirPods flew with reckless abandon around the Interwebs stating different colors, water resistance, and yes, active noise cancellation Those rumors may eventually come to pass, maybe even in the fall. I believe AirPods second generation are what Apple wanted to release some time during 2018 but due to the recent demise of Airpower, held off releasing the wireless charging case and H1 chip. I would not put it past Apple to show a true AirPods 2.0 version some time in the Fall 2019 event for availability this year. But that being said, if your current set of AirPods are around 2 years or more old and are suffering from battery degradation and you want the convenience of Qi wireless charging, then by all means pick up a new pair along with the charging case. It will set you back 200 bucks, but well worth it if you use the AirPods daily or often enough to justify the expense. While I think AirPods will continue to be as popular as eve I do think this time around the competition has in many ways caught up to and surpassed (think sound quality) many of the features offered by AIrpods. However, Apple will always have the "secret sauce" when pairing to iCloud devices at its disposal which no other manufacturer can match. I often get questions about AirPods and whether they are "worth it". I always same the same thing to anyone who asks, "If you don't mind average wireless sound quality, noise leaking, and *IF* they fit your ears, then by all means go for them. However, if those are deal breakers there are just as good, if not better options in the marketplace and that's a good thing." Overall, nothing offered in this generation of AirPods really moves the needle either way from my B+ rating of the first version of the product. This will most likely stay the case until Apple gets us a version of Airpods with either noise cancellation or better in-ear sealing fit, multiple colors (Black please! ), and the ability to modify sound level volumes on the AirPods themselves. As always, I will be keeping a keen eye on this space. Just one year ago if someone were to tell me you could get a quality pair of totally wireless earbuds for under fifty dollars, I would have called shenanigans. The technology, especially Bluetooth spec 4.x just wasn't robust enough for anything not called AirPods. Technology has come a long way since then and yes, you now can purchase a great pair of totally wireless earbuds for not a lot of money. The Dudios Zeus TWS earbuds with Bluetooth 5.0 has been an extremely pleasant surprise. Here's my quick take on these inexpensive wireless earbuds. The packaging, quality of the charging case and buds was surprisingly good considering the price of the product. The charging case is a soft touch plastic with a glossy plastic lid that when raised, shows the earbuds and the three charging level LED's. The earbuds are a similar plastic with both buds containing a rubber-like center button which severs as a multi-function. Nothing really negative to say regarding the fit and finish of the buds or the case. When putting the buds back into the case, there's a satisfying magnetic "snap" as the buds fall into place. Whatever magnets are in that battery case holding the buds in place are pretty darn strong as I can literally shake the case up and down without the buds falling out. Taking the buds out require a slight pinch of the thumb and the index finger and is relatively easy to do. Take the buds out of the case, and two things happen: 1) The master will pair with the phone or any device requesting to pair, and 2) the right earbud pairs to the left. This process worked well and had no issues pairing to my iPhone Xs. Every time after the initial process, taking the buds out of the case will automatically connect to your device. Overall, not as flashy or a finely tuned as the AirPods, but understandable and certainly not a laborious or complex process by any means.. The Zeus earbuds fit well for me and your mileage may vary. The buds sit inside the ear with the three sizes of plastic ear tips are provided (small, medium, and large). Once they are fully situated, they stay in. I jumped up and down, shook my head from side to side and the buds continued to be firmly placed in my ear. Since they are relatively light, they don't present much of a problem wearing them for extended amounts of time. I have been able to wear them through my commutes, when out and about, and have no issues with ear fatigue or pain. Bluetooth connectivity is where the Zeus TWS really shine. 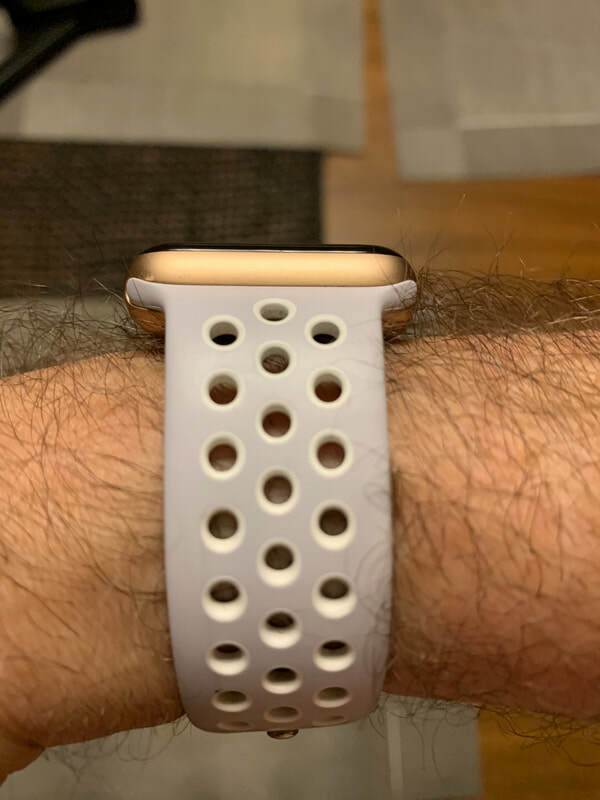 I suspect mostly due to the implementation of Bluetooth 5.0, connectivity has been excellent with no discernible cutouts from either earbuds. Indoors I was able to travel around my house with nary a dropout and was able to get almost as far away from my iPhone as with a pair of AirPods. No issues there. The true test of BT connectivity is outdoor performance. My Bluetooth acid test is walking the streets of NYC with the iPhone situated in a coat or back pocket. The Zeus again yielded more rock-solid connections and no drop-outs. I am very impressed with the strength of signal and connectivity. Sound is such an objective measure and what sounds good to one person may not be what another person cares for. That being said, the sound isolating nature of these earbuds make for a good listening experience. When I initially started to use the Zeus TWS, I was using the medium size earbuds and found the sound to be very tinny and relatively little bass. I substituted the medium buds with the large ones and it made a striking difference. With the larger buds and better sound isolation, I get good bass and decent mids/lows. The TWS's are no Bose, but they sound better overall than the open-air AirPods. Another benefit of having a good in-ear seal is the blocking of external noise and listening to podcasts and music at much lower volume levels. Contrast this to the AirPods which in the same situations, would require full iPhone volume to hear music and podcasts, especially outdoors. Each Zeus earbud has a large multifunction button which is offers a satisfying tactile response when pressed. The buttons allow controls such as start/stop, volume control, next/skip, and voice assistant activation. The combination of presses and holds take a bit of time to get used to, but once mastered allow mostly everything you want to do to control the sound you are listening to. The one complaint I have with the control methods of the Zeus is the Siri activation using the Triple button press. It appears that the triple press only works when the earbuds are in a paused state (i.e. no music or sound playing). So when I want to summon Siri to perform some action while playing music, I would need a single press to stop the music, then another triple press to get Siri activated. Not exactly the most efficient use of clicks and clunky to be sure, but I have gotten pretty good at performing the combo of presses. Overall, I would have given the control set on these buds a A for ease of use, but the quirky Siri activation, knocks the score down a solid letter. Dudious claims 3 1/2 hours of audio playback and through my use, they have come in right about that mark. The battery case provides an extra 500mah charge for the buds and adds an extra 15 hours to music playback.. There are certainly buds that surpass these levels, but with a light and relatively small sized hockey puck case, the buds battery life should not disappoint for most people. Call and microphone quality is not a strength for these buds. Unlike many buds in this category, the call is played in stereo on both buds. Volume levels for calls always seem to be really low even when I have the buds on a high volume for music and podcasts. I am not sure why this is, but it something that should be noted. As for the mics, there are no beam-forming extensions like the AirPods, so folks on the other side of the call can definitely tell you are on a pair of headphones. External wind noise can be a distraction and I find myself having to raise my voice outdoors. Calls taken indoors aren't too bad, but still don't compare to the AirPods. If phone calls are a primary use for wireless buds for you, I recommend looking at a pair of AirPods or the Jabra Elites. The Zeus are ok when it comes to phone calls, but certainly nothing to write home about. Using the Zeus with watching video on YouTube and downloaded movies, audio and video where perfectly in-sync which plagued many totally wireless devices in the past. Bluetooth 5.0 addresses this in a big way and look forward to future products using this standard. Dudious also claims that the Zeus can be used in both stereo and mono modes which just means you can take one bud out and share it with someone else without affecting playback. Not a particular feature I would use, but I guess it's good to know if I should ever need it. For anyone that is active and is concerned about sweat or moisture, the Zeus are rating IPX5 rated so they should be well equipped to resist sweat and rain if needed. Let's get one thing out front and center, these are a relatively inexpensive pair of totally wireless earbuds from a company I have never heard from until I read the reviews on Amazon. The Zeus has good sound (when the correct bud is fitted), good functionality controls with one quirk, and decent battery life. The connectivity, thanks to BT 5.0 is rock solid and compares favorably to buds costing three to four times as much. Are the Zeus as finely polished as AirPods or equivalent Bose SoundSport Free? Not at all. But for the cost/value proposition, the Dudious Zeus TWS offer a good listening experience for a pair of totally wireless earbuds when compared to more expensive options. I would highly recommend these to anyone that wants a good listening experience but doesn't want to break the bank for some of the completion. The price may be inexpensive, but for most of what these buds offer, it's a steal. As of this writing, the Zeus TWS rate at a 4.7 out of 5 rating on Amazon, with many people calling these the low-cost AirPods. While AirPods are in a class by themselves mostly due to the iOS and Apple ecosystem integration, the Dudios Zeus TWS hold their own against the pricier completion and I can certainly agree with the notion of calling these the low cost version of AirPods. The Zeus TWS is true wireless, you could feel free to wear it to work or walking. It has only one-button to control media and phone calls. With advanced Bluetooth chipset and Bluetooth 5.0 technology, it could provide up to 33 feets/10m connection range, ensure no latency and cut in and out issue. Once take both earbuds out of charging case, it will be power on and enter into pairing mode automatically. If want to use it as a single one, power off the earbuds firstly, then hold and press the multifunction button for 5 seconds to enter into pairing mode, search your device to pair it. A KEY to ensure sound quality is the FIT of the foam or rubber earpiece to the listener. If you don't have a snug fit, you could lose up to 30-75% of the sound quality. The iPhone X is a good looking phone and if a case needs to be placed on it, it should be one that shows off the look of the phone. While scrolling through my Facebook timeline, I was presented with an ad for a TPU style case for the iPhone X from a company called Kauum. I placed an order for that particular case and since it is coming from outside of the US, will take a bit more time to actually get here. In the meantime, I went on to Amazon to search for other offerings that may be offered with Prime shipping. That's when I found the Ranvoo Clear Slim case. 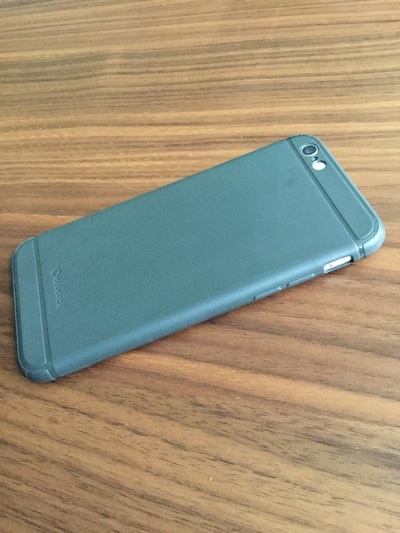 The Ranvoo case is a typical TPU style case with a few twists. 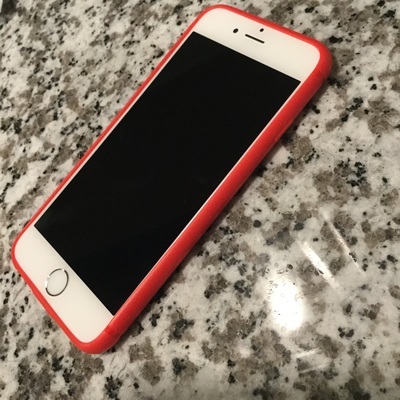 The main problem with clear cases is the watermarking that occurs when the smooth back of the iPhone makes contact with case surface, causing some moisture to accumulate causing a spotty appearance. 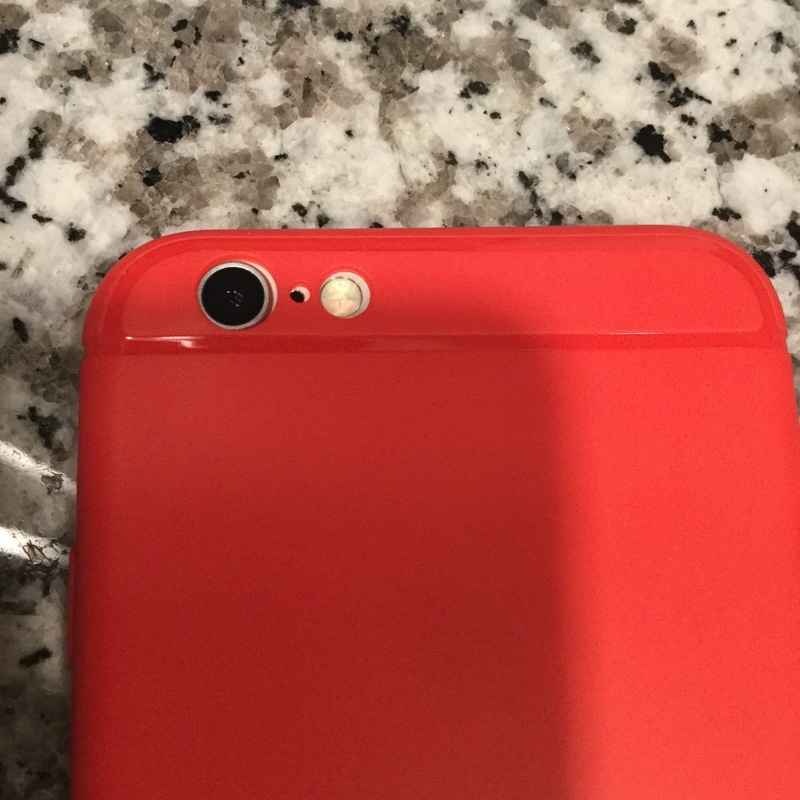 The Ranvoo case attempts to prevent watermarking by coating the back TPU with a very light "dot" pattern. 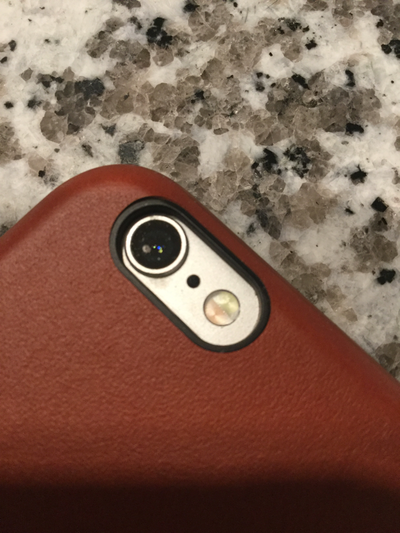 If you really look close at the back of the case, you can see the dot pattern. However, looking through the back at a distance, the pattern is really hard to notice. I have included a pic that shows what the case looks like both on and off the iPhone. 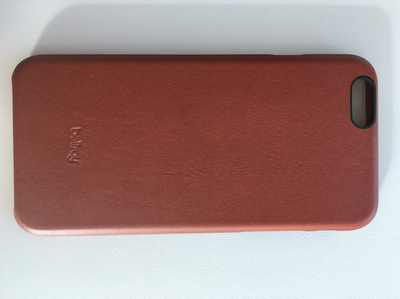 Ranvoo offers the case in several colors. The colors are for the sides, including the top and bottom of the case. 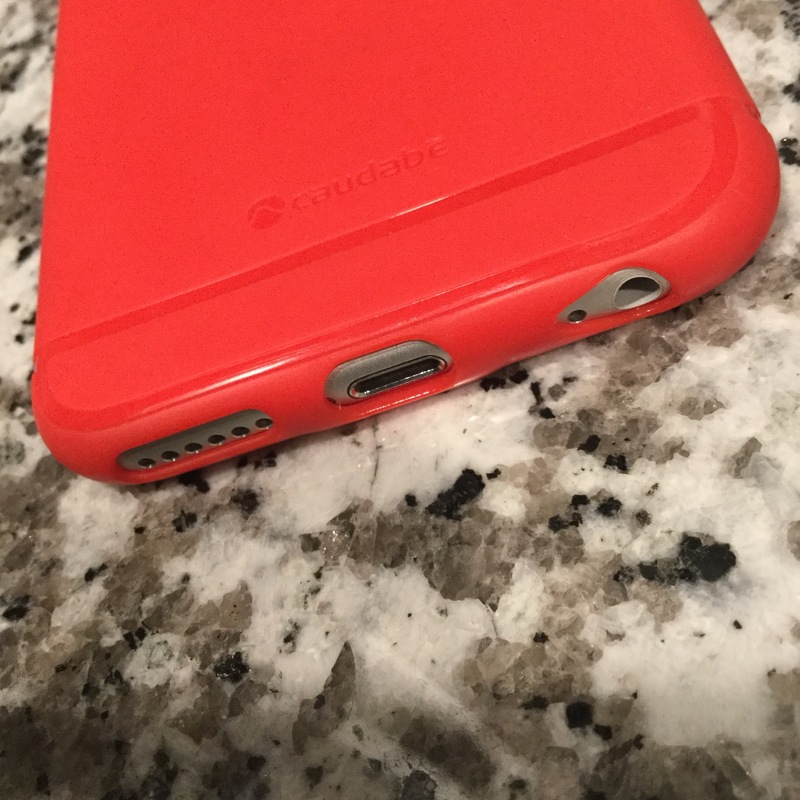 I purchased both the Black and Red version of this case. 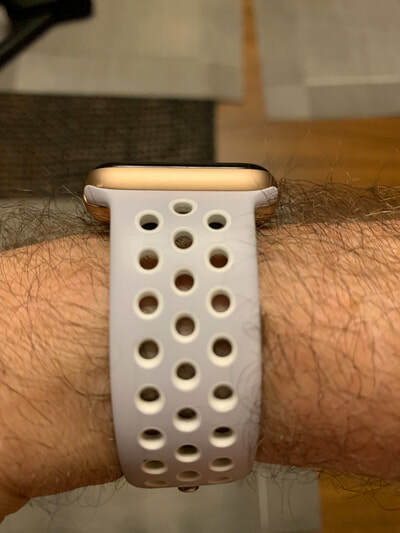 The sides are also TPU but have a metallic look which compliments the iPhone X and its stainless steel. The black version of the case actually looks like it is part of the space black phone. The case also feels great in the hand. It is very thin and offers very little in the way of lay-on-table design. That's a good and bad thing. 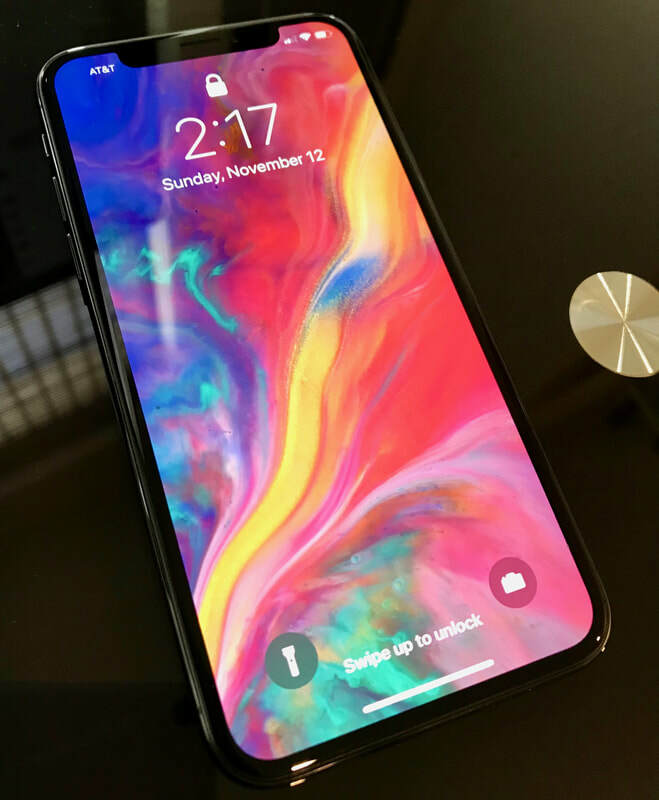 The good is that the front of the case does not intefere with any swipe gestures, the bad is that putting the iPhone face down will give very little clearance between the surface and the screen. The case fits well and offers very good button tactile feedback. 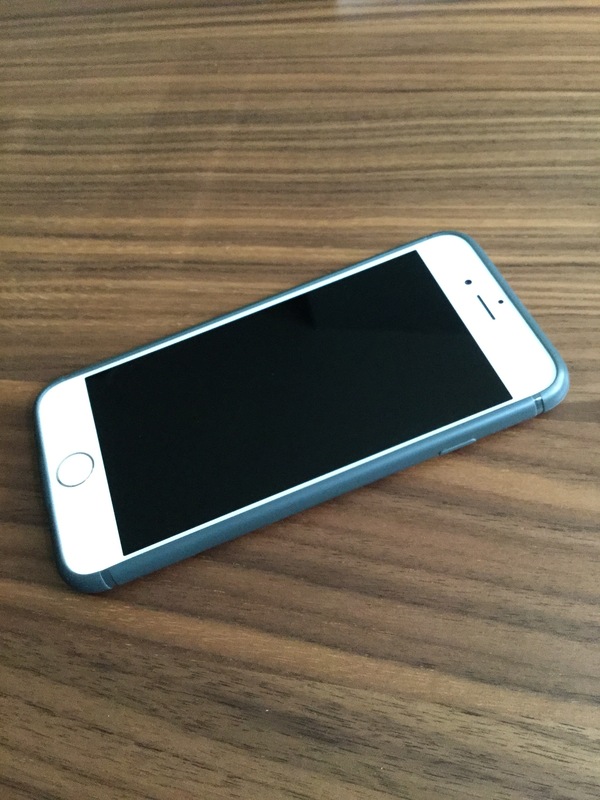 The mute switch is easily accessible due to the thinness of the case. 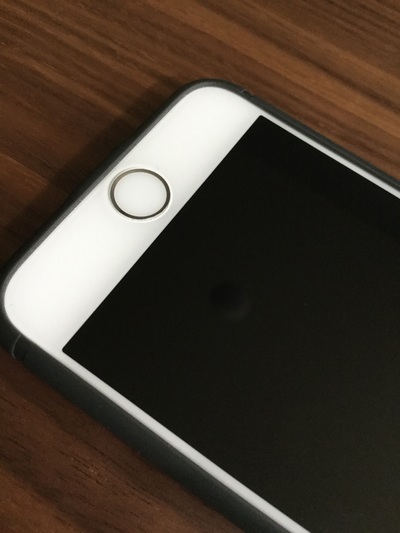 Protection for the iPhone X back cameras is offered by a ring that extends just a bit over the camera housing. As is the case with most thin cases, Qi wireless charging is not an issue and works perfectly when the case is placed on the charger. Overall, I am a fan of this case. It shows off the Space Black back of the phone and the sides look like an extension of the iPhone stainless steel itself. 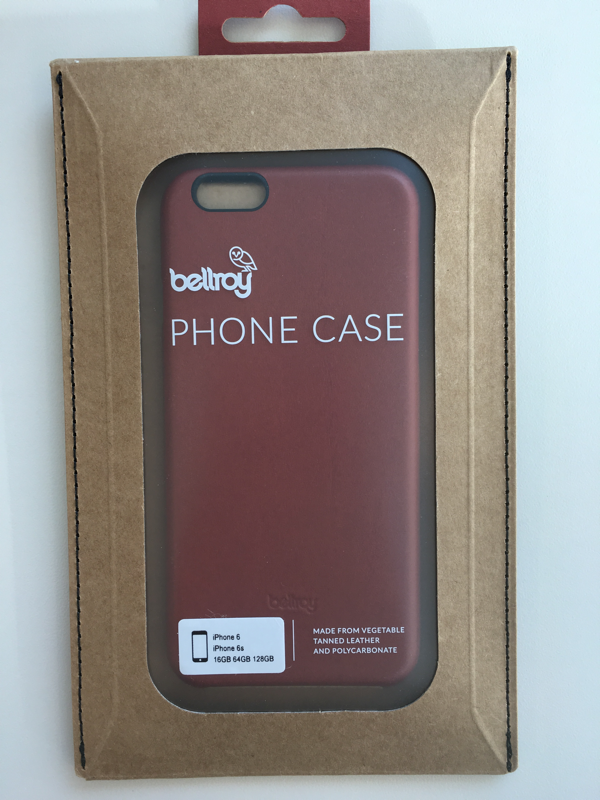 The case is also extremely thin and is thinner than some other clear cases offered by competitors. I should note, that there are a ton of manufacturers on Amazon that offer cases just like this one even with the same color options. They basically are produced by a single manufacturer and distributed by third party suppliers. 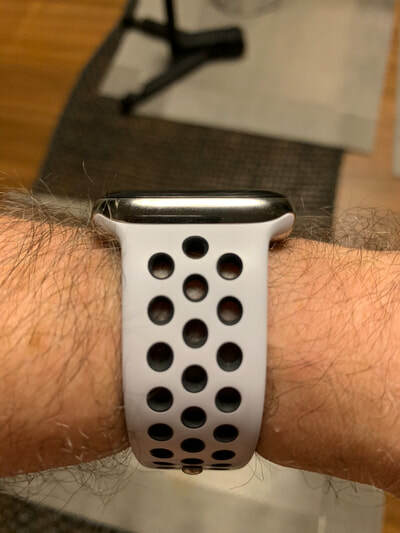 However, the Ranvoo options are what I selected and so far have been a really nice choice for showing off the iPhone and providing some level of protection. I am including the link below to Amazon page where the case is sold. It seems pretty popular at about 4 1/2 stars. Apple's AirPods have been the talk of the tech sphere in a relatively slow tech news cycle (yes, even during CES). Originally announced at Apple's September keynote which introduced the iPhone 7, and slated for October delivery, the AirPods have been extremely difficult to get from Apple or other electronic device providers. I had originally placed an order on Dec 31st with Apple using the Apple Store app which promised a late February delivery. Having heard that orders were being shipped much quicker from AT&T online, I decided to order from them and cancel the Apple order. Glad I did, since the AirPods from AT&T came less than a week after the order was submitted. I have had some time with them and have formed some pretty solid opinions on the overall experience. This article is not a review per se of the AirPods, but rather a report card of several categories that I deem applicable to any wireless BT headphone or earbuds. In my rating, I will attempt to justify the category rating by my experience using the AirPods. Each category will be given a letter grading (A - D). The categories are as follows: 1) Setup, 2) Fit/Comfort, 3) Connectivity Reliability, 4) Sound Quality, 5) Convenience, 6) Battery Life, 7) Miscellaneous, and 8)My AirPod summation and musings, and finally my overall AirPods rating . By far, the AirPods are the easiest and slickest Bluetooth pairing experience out there. Sure, there are some BT headphones with compatibility with Near Field Communications (NFC) chips, but Apple takes this process even further towards simplicity. Upon taking the AirPods out of the box, just a flick to open the battery case and hold the case near the iPhone prompts the pairing process. Just click the connect button and the AirPods connect almost instantaneously. 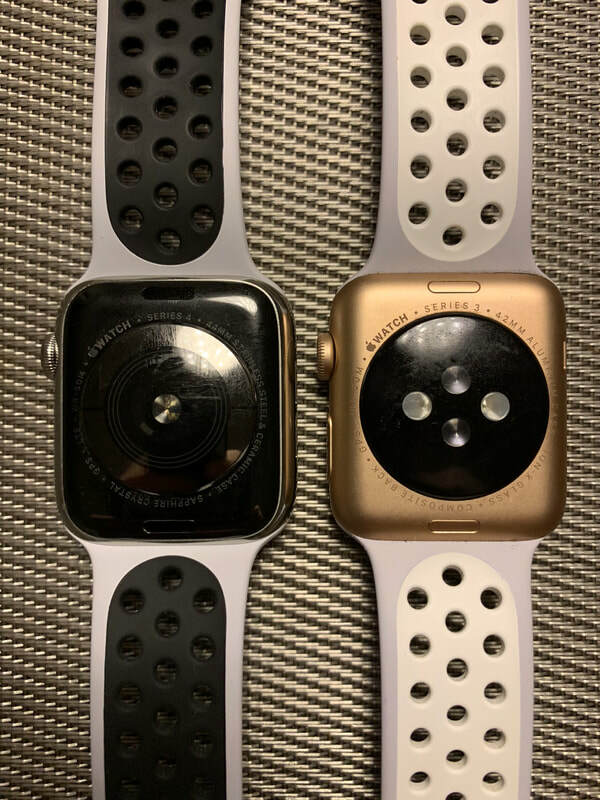 Apple's extra sauce is that the connection information is synced up to your iCloud account which makes all Apple devices that use iCloud account (including the Apple Watch), able to connect simply and easily. I did not experience any issues with setting these up with the iPhone 7 and having them accessible to my iPad and Mac. I haven't attempted the manual process of pairing the AirPods with the Apple TV, but what I have read, it's also a simple process. Thank goodness the process is so simple, as I have had to remove the AirPods bluetooth profile from the phone due to flaky behavior (more on that later). While I understand fit and comfort is primary based on an individual's ear shape, I can say that I have zero issue with keeping the AirPods in my ears and having them sit comfortably. I can wear them for hours and not experience any discomfort. I can shake my head like a 80's metal head banging rocker and have these stay in BOTH ears. No issues here. This category primary is concerned with how strong the bluetooth signal is between the phone and both AirPods. It is important to note that when connected to the iPhone, dual BT signals are sent to each individual AirPod unlike some of the other wireless solutions on the market that send a BT stream from the device to one earbud and then that earbud sends that signal along via wire or BT to the second earbud. Apple has nailed this in every sense of the word. Whatever magic Apple put into that glorious W1 chip, it has improved the all around connection experience. Indoors the signal is rock solid even when my iPhone is in the kitchen and I am upstairs in my office with the AirPods on. That's impressive, Even more so is the connection reliability when outdoors. I can walk down a busy Manhattan street and have other bluetooth headsets crackle and experience signal skip. Not the AirPods. I can have the iPhone 7 in a coat pocket, or even in my back pocket and still maintain a solid connection on those very same treacherous Manhattan streets. This is one of the BIG wins for the W1 chip. I suspect most people, myself included, didn't expect much from the AirPods given the relatively crappy quality of Apple's prior generations of wired EarPods. I know many people swear by the EarPods, but hey, they are free and you get what you pay for. I never found EarPods to be anywhere near decent sounding and definitely lacking bass and sounding tinny. While the AirPods on not magnitudes better than EarPods, they do have better bass and overall quality has improved. Another thing here to consider is the fit. The better the seal in your ear, the better bass response and overall quality will you experience. In my opinion, Apple has improved the audio quality of the AirPods, and while they don't approach my Bose QC30's wireless, they do provide good enough sound for me to not throw them into Jerry's drawer of headphone oblivion. Bass response has been improved and, mid's are clear. Higher volumes can tend to push the AirPods a bit depending on the type of music, but heck, after all these are tiny buds. As a daily commuter to and from work and someone who is on-the-go on the weekends, the convenience of any mobile device is really important. 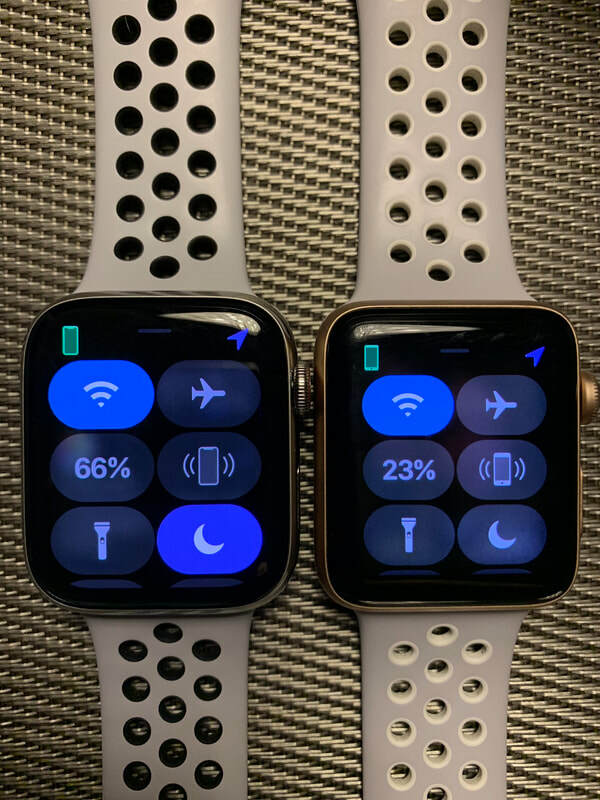 What I consider to be convenient when referring to wireless devices is the ability to control audio from the AirPods independently from any other device, including the iPhone itself and even the Apple Watch. Sure, I could reach into that coat pocket to press a volume button, but that becomes more difficult if the phone is in the back pocket. 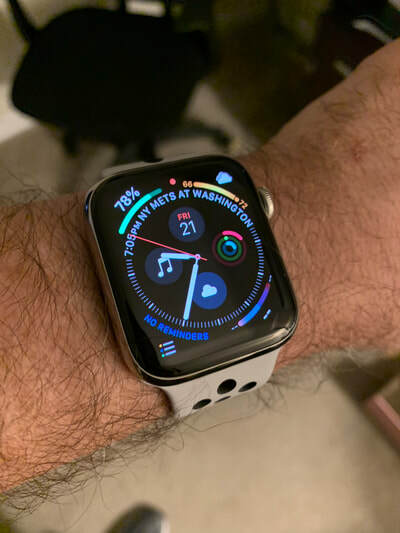 Forget the using the Apple Watch - a) because winter coats and gloves make accessing a watch difficult, and b) I just don't want to have to raise the watch, bring up the dock, scroll and select the Now Playing app, then finally adjust the volume. This is where the AirPods fall down. Using Siri for simple audio commands, can be done, but forget that if you are in a quiet area (i.e. commuter rail car, library, etc. ), or where signal is not that great. It can sometimes take up to 5 - 10 seconds to issue a verbal command to Siri, transmit it to Apple servers, and get the action back for action on my phone. It should also be noted that while playing audio in a 3rd party Podcast app (i.e. Pocketcasts, Overcast) and activating Siri for a non-audio command (i.e. "What time is it? "), the audio from the 3rd party apps do not resume when Siri completes the request. To solve this particular problem, I have gone back to using Apple's Podcast app which works well with Siri. Apple provides user customization for double tap on an AirPod to either activate Siri or Play/Pause. I use Siri for other functions too much to sacrifice losing the function. Another convenience plus is the ability for the audio source to automatically pause when one of the AirPods are taken out of the ear. A strange quirk is when you are listening to an audio stream using only one AirPod. Removing that one AirPod from your ear will indeed pause the audio, but putting the loose AirPod back in will not continue the audio. Another strange user experience quirk. Overall, the lack of volume controls offered by the AIrPods is the major black-mark affecting this categories score. Apple claims 5 hours for each of the AirPods with an additional day of battery charge with the battery case. In my daily use, I have had no problems with battery. The most I have run down the AirPods battery is 6o percent during a long commute. The battery charging case can usually last one day before it needs to be topped off. I don't spend long periods of time on the phone so I can't attest to how much of a drain have on the battery using the built in mics. I have been reading about many people having extreme battery drain with the battery case. Since I can get a full day, maybe two from a charged battery case, I won't complain about that. For this category, I will cover a couple of things. First, is call quality, which has been a hit or miss experience for me. When the AirPods work and I can successfully answer a call by double-tapping, the dual beam-forming mics do a commendable job, even in a noisy Manhattan street environment. I was able to hear the person on the call and I came in without too much background noise interference. On the negative side, I have experienced several calls when I have double tapped to answer, and the voice coming from the other side was in slow motion, garbled mess. I would have to end the call, try using Siri to call the person back (if that worked), and finally had to re-dial the person directly from my phone. At other times, I have totally missed calls that I knew were coming in as I felt the phone vibrate in my pocket, but was unable to get the AirPods able to answer by double tapping, no matter where or how hard I tapped. Nothing is more frustrating when tech doesn't work and missing an important call can become a deal-breaker. On several occasions I was able to activate Siri by double tapping, I would see the Siri voice wave line on the iPhone, however no audio was being sent to the phone through the mics. I will have to monitor the inconsistent behavior pertaining to answering calls and Siri functionality. I am hoping that Apple will have a firmware update to improve the reliability of phone functions. Let's get one thing out front and center. I have used many Bluetooth wireless devices over several years, including some very good devices from Bose, Jaybird, and Beats. The level of technology that is packed into the size of a small AirPod is amazing, especially when consider the signal strength, and battery life offered by these little marvels. For a first generation totally wireless set of audio buds, the AirPods show that Apple has a bright future with accessories such as these. Many have been extolling the AirPods as the best thing to come out of Apple in a long time. 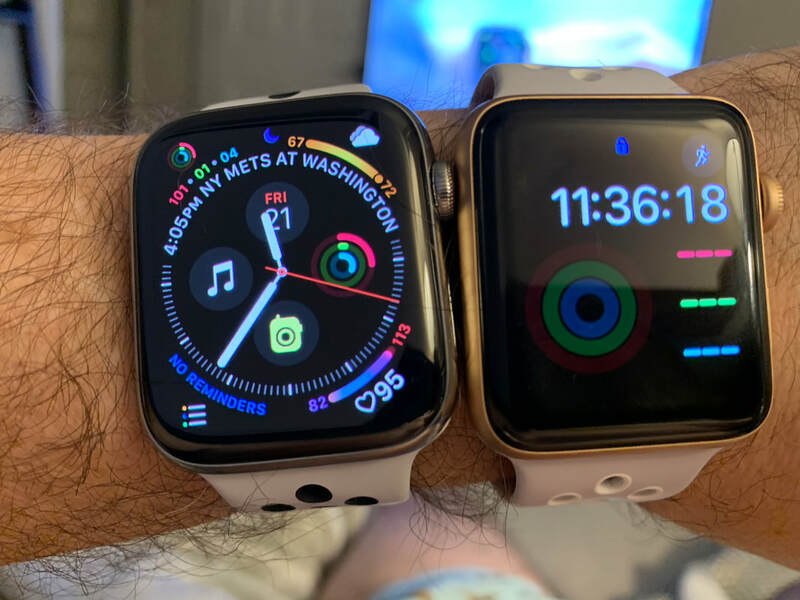 While I think that may be a bit hyperbolic, I do appreciate everything Apple has put into the product from the quality to the performance of these devices. With all the praise though, I have experienced some really annoying bugs with Siri, incoming phone calls, and inconsistent behavior. As much as I really like the AirPods, I am still scratching my head over how Apple could leave out simple volume and next/previous controls. I can appreciate Apple's desire to "keep it simple" and leverage Siri for basic commands, it's what they do. Read or listen to most AirPod reviews on the web, and the overwhelming consensus is that Apple should have designed the AirPods to support either swipe gestures up and down the stem for volume or have each AirPod support a certain tap combination or function. For example, have the left AirPod double and triple tap for volume adjustment, while the right can activate Siri or skip/next track. This could pose a problem as if you listen with only one, then you would lose the functionality provided by the AirPod that is not in your ear. I would think that would be a more acceptable inconvenience as the majority of listening I do is in stereo with both AirPods in my ears. Aside from the various lack of controls, there are several quirks that need to be fixed and I am hoping that they can be address via a firmware update. Most modern Bluetooth manufacturers support designing their headsets to install updates for fixes and feature improvements. Obviously, the hardware design dictates how much the software updates can change functionality but most of the time updates provide improvements to connectivity or other issues that may affect the overall use. I am hoping that Apple provides timely updates and fixes for the AirPods. Whether it be for quirky call behavior, voice issues, or inconsistent Siri behavior, it would be nice if Apple can fix these via a firmware update. It would be disappointing if Apple ignored these issues and made people go out an buy a 2nd generation set of AirPods to get feature updates and fixes. I'm on the fence on whether Apple will go that route but I put nothing past them. Overall the AirPods are an amazing piece of technology at this stage of the wireless headphone market. 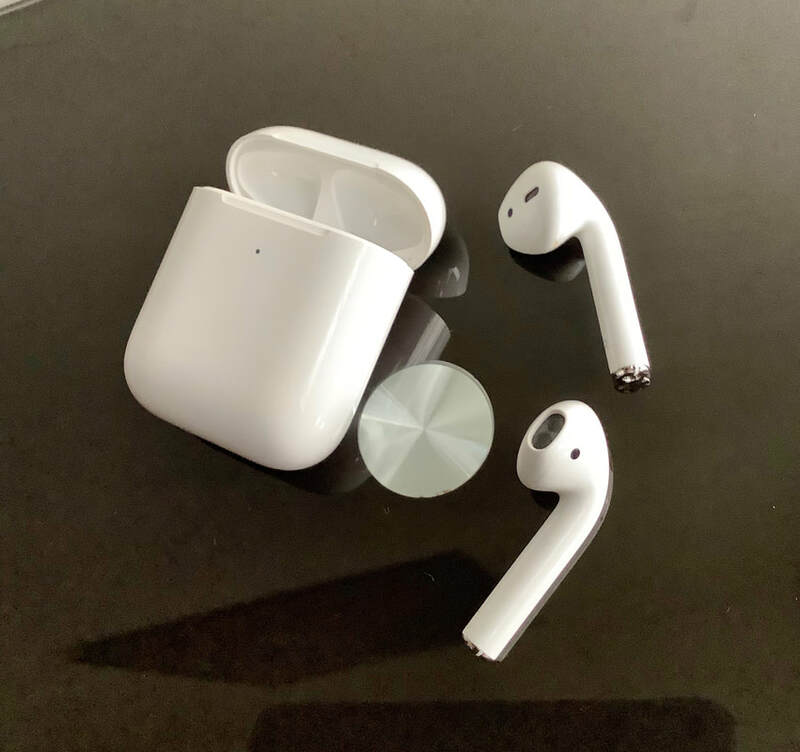 While other manufacturers offer their own models with various features and levels of battery life, the Apple AirPods are designed to work best with various i-Devices. When AirPods work, they work well. When AirPods fail or don't work as expected, it can be a very frustrating experience. More often than not, in my own use-cases, the AirPods have performed as expected with the occasional snags and annoyances. 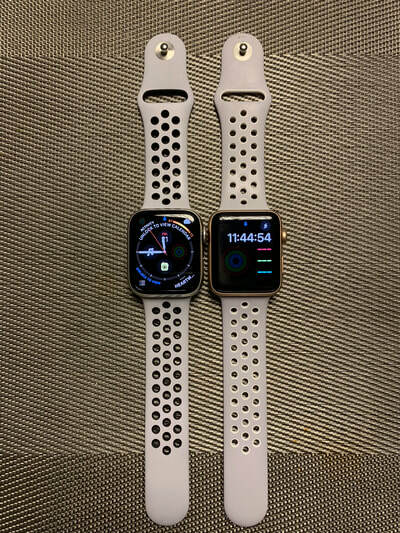 Ok Apple, you finally shipped them, I bought a pair, now the ball is in your court to get updates out to iron out the bugs. I will continue to use the AirPods as my primary headphones but in the back of my mind, if the bugs occur more over time, I have several really good (but not totally wireless) alternatives I can go back to. Following these instructions, I had no issue installing the case on my iPhone 7. When I first reviewed the Caudabe Stealth for the iPhone 6/S (link), it was a case that looked good but was a pain-in- the neck getting on and off the iPhone. The fit and finish of that first generation case was good but I had issues with alignment of the holes for the camera and flash with the red version of the case which improved with the gray version I ordered a couple months later the second time around. The one thing I do know about Caudabe is that they listen to their customers and evidence of that attention shows in their new, improved Sheath case for the iPhone 7 and 7 Plus. This review is for the black Sheath case for the iPhone 7. Caudabe was also kind enough to provide a grey case as well but this review will focus primarily on the black version. 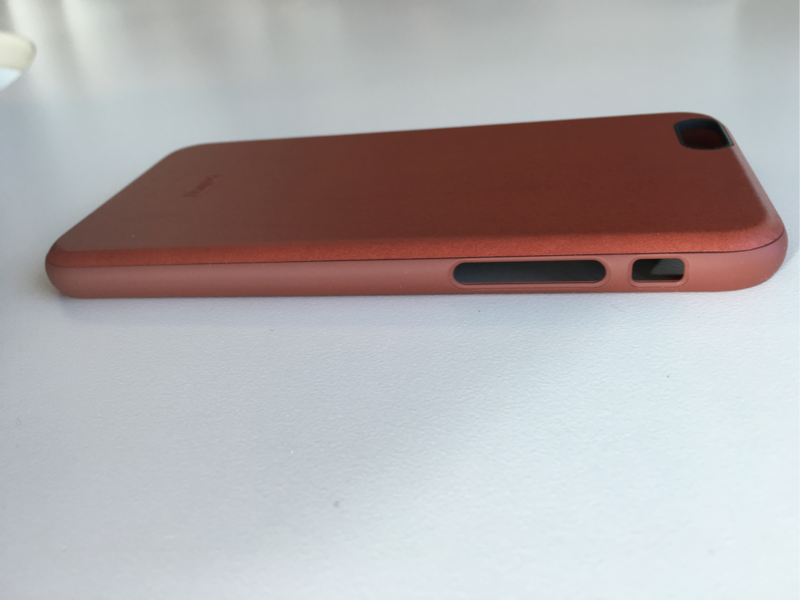 The changes for the Sheath for iPhone 7 are subtle but overall they combine to make a good case even better. The first thing Caudabe did to improve the user experience getting the case on to the device was to actually include an instruction insert in the packaging. Putting the case on was a non-issue, unlike my first go around. I wonder if Caudabe included these instructions with the earlier version of the cases whether or not I would've had issues putting the case on, or did Caudabe improve something in the manufacturing process to assist the process with these new versions? Regardless, installation was pain-free. 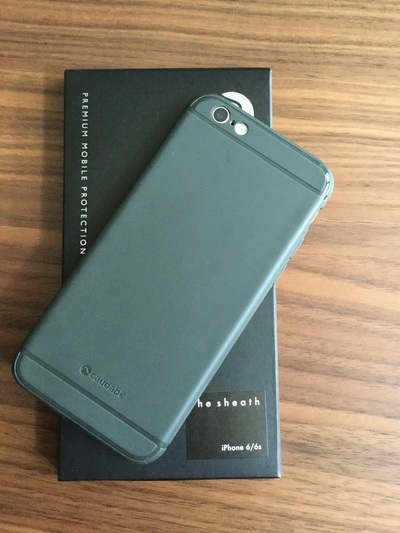 If you didn't read my initial review of The Sheath, the case is a svelte .90mm thick, full coverage case. Caudabe calls the material ShockLite, a soft gel-like flexible polymer with shock protection. 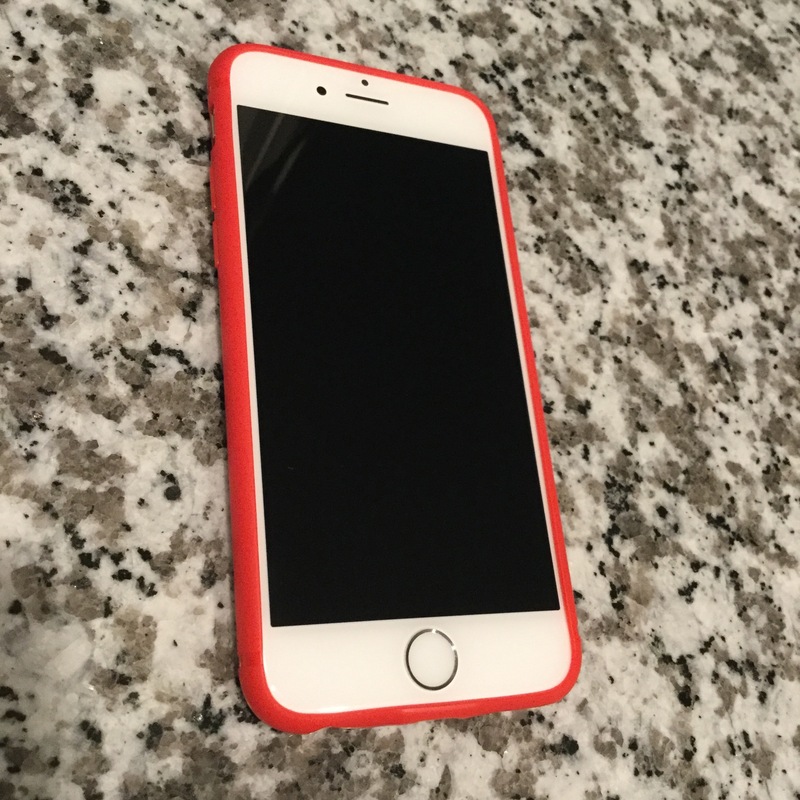 It's not quite silicone in feel, as opposed to the sticky Apple Silicone offering, but it does add relatively good grip to the iPhone when it's on. 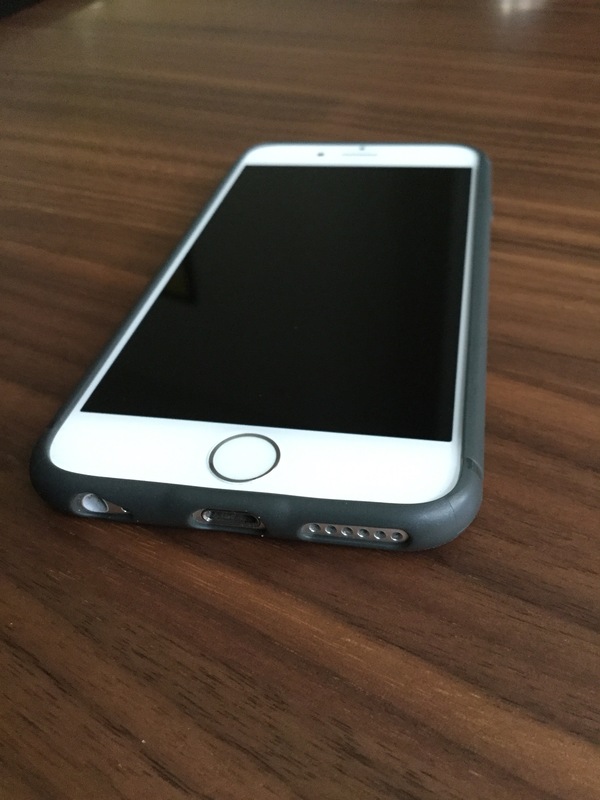 The grip has actually been improved since the first model of the case. Caudable modified the manufacturing process to make the case feel a bit more "grittier" in the hand. It's the best way I know of to explain the difference between the older and newer Sheath. I actually prefer the new feel over the older one and am glad Caudabe made this change. As an added bonus, the material, even in black, seems to resist fingerprint smudges. That's certainly a good thing! 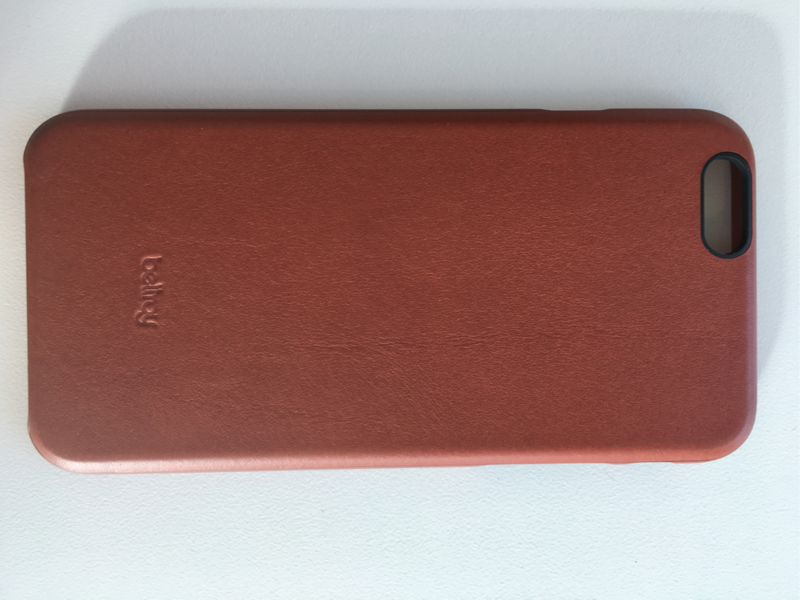 In terms of overall look of the Sheath the accent faux antenna lines on the first generation have been reduced to one on the top part of the newercase. 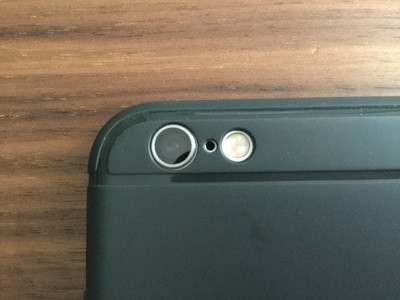 The area around the camera and flash have also been redesigned and have accent lines as well. The new patterns makes for a much cleaner,classier look to the overall design. The bottom of the Sheath now includes dual speaker cutouts and eliminates the headphone jack area to accommodate the newer iPhone 7 design. The area around the lighting port is reinforced to reduce the amount of wear and tear on the case from plugging in charging cables and docks. I had no issues with the Apple stock lighting cable nor the several charging docks I have both at home and at work. The volume and sleep buttons are easily pressed and have excellent tactile feedback. The side mute switch is also easily accessed as well. 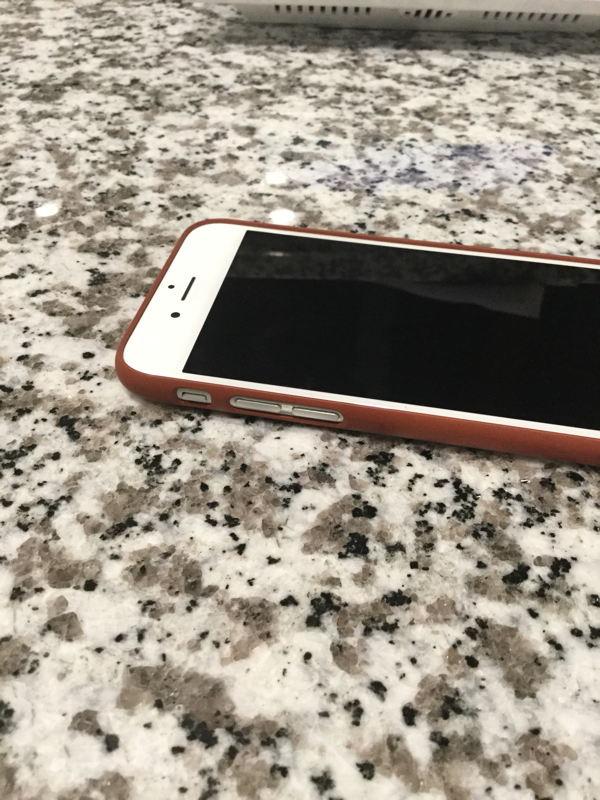 The Sheath offers a lay-on-table design that allows for putting the iPhone 7 face down without the screen touching the surface you are placing it on. 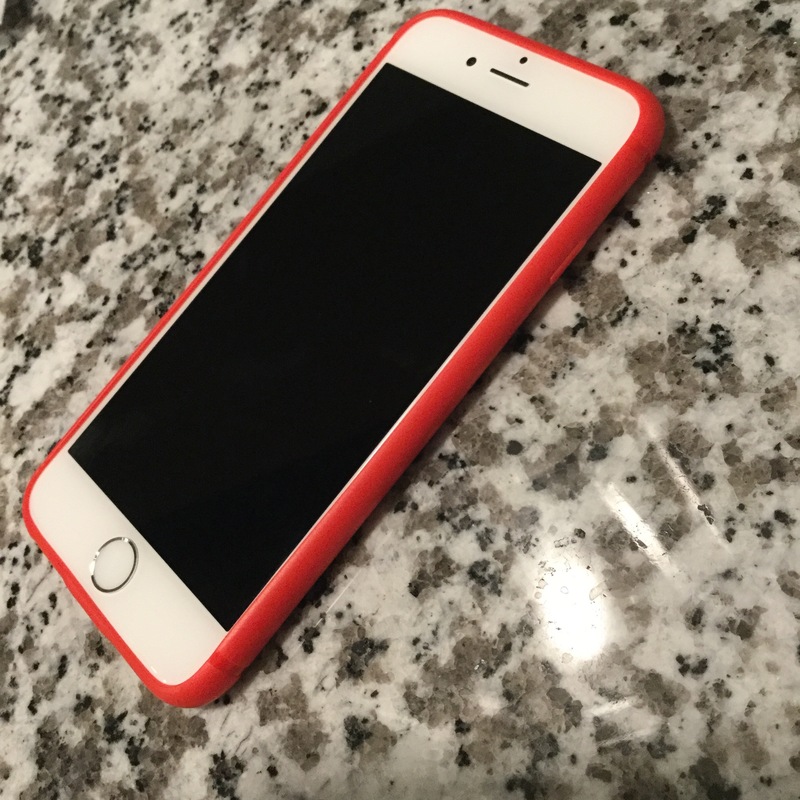 If you plan on using The Sheath with a tempered glass or other screen protector, I would recommend getting in touch with Caudabe customer support prior to purchase and verifying that the protector will work with it. Besides Black, The Sheath is also offered in Gray, Navy Blue, and Red. Having a (matte) black iPhone 7, the black version of the Sheath looks spectacular on my phone. 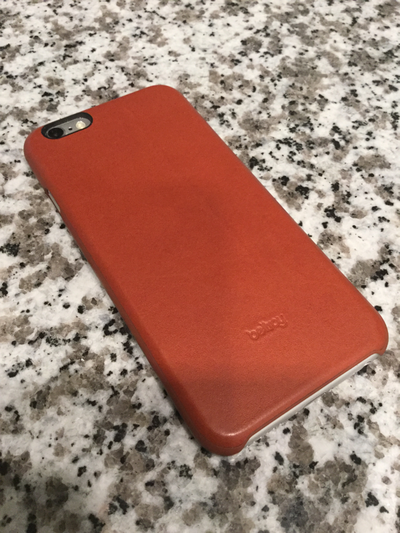 Combine that with the quality of this case, the slimness, and the overall fit and finish, I highly recommend this case to anyone looking for the aforementioned qualities in a great looking iPhone case. I struggle to find anything negative to say about this case. It might just be the perfect combo of protection and feel out there in the market. The Sheath has become my everyday case and I think it will be for the forseeable future. I am no audiophile, but I do love listening to music, podcasts, and sports radio. That listening experience is usually augmented by using a great set of Bluetooth wireless headphones. I have tried many from well known brands such as Bose, Beats, and even Jaybird. I think my search for the perfect set of wireless ear buds is over for now, the Jaybird X2's are a cut above the rest and I am going to outline why. However, before I do, I should mention that I owned a pair of Jaybird's previous generation high-end earbuds, the Bluebuds X. The Bluebuds sounded great but my unit always seemed to suffer from terrible signal breakup whenever I subjected them to the outdoors environments of New York City. All I needed to do was step outside with my iPhone in my back pocket and the Bluebuds would studder and drop out like a bad Skype call. The new X2's are re-built from the ground up with all modern, up-to-date components which I believe give them an advantage over the older generation model. As I mentioned, I am no audiophile, but hands down the X2's sound quality is best of any bluetooth earbuds I have used. If you closed your eyes and did a comparison between some wired buds and the X2's, you might be hard pressed to tell the difference. The engineers at Jaybird have utilized a custom Bluetooth codec called SWIFT which has been optimized for sound delivery. Surprising enough, the X's still utilize BT 2.1 + EDR (Enhanced Data Rate) which to my understanding is still the underlying technology in later BT implementations (i.e. 4.X) that delivers sound from the source to the headphones. What all that tech speak means is at the end of the day is an awesome sound experience for the listener. Being earbuds, there's a couple of things that go into how comfortable wearing a pair of these type of headphone are. The fit should be snug enough to ensure good sound isolation and keep them in when you move around. In order for the X2's to fit properly, the right size earbuds must be selected along with the wingtips which stabilize the bud in the ear. The X2's come with a set of small, medium, and large plastic eartips as well as three sizes of Comply foam tips which really make a difference in terms of comfort and sound isolation. Included are plastic "wingtips" that provide a sort of wedge in the ear crevice to keep the buds in the ear. The wingtips have been redesigned from the older Bluebuds and now have a more rigid feel with rounded edges which definitely help with comfort. I am able to wear the X2's for long periods of time without getting that typical "earbud" fatigue that most buds have when you put them as far into the ear canal as they need to go. Speaking of the ear canal, if a good seal within the ear is obtained, the X2's really shine in terms of comfort and sound quality. I realize that this is purely subjective as everyone's ear sizes are different, but I have found the perfect combination in using the small wing tips and the medium sized Comply foam tips. The buds are fixed securely in my ear and I am not sure I could shake my head forceful enough to get them to fall out. It should be noted that Jaybird offers two ways to wear these earbuds, either traditionally with the cable sloping down from the ear (under ear) or over the ear where the cable is draped over the top and then behind the ear. Whatever way is most comfortable, you should be able to get a secure and comfortable fit. One of the things that really annoyed me about the older Bluebuds X was how the wing tips would slide off of the bud and would require re-adjustment each time you put them on. Jaybird has solved that problem on the X2's by placing a bit of a ridge where the wing tips fit so they will not slide off. Nice touch. The control stick provided houses a main button (center), and two volume buttons. The function of each button is dictated by how you press each. A single press and release of the main and volume buttons does exactly what you would think, playing and stopping the audio and controlling the volume up or down. A one second press-and-hold of a button changes the function. For example, a one second hold of one of the volume buttons changes the functionality from volume +/- to next/previous selection. The control stick also supports longer presses up to 4 seconds for the main button to initiate Bluetooth pairing mode. 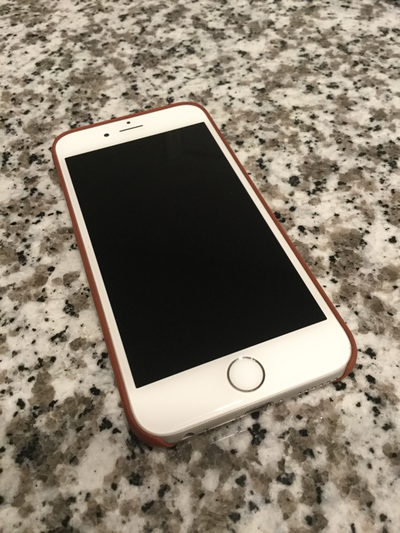 When paired to the iPhone, all phone functions such as answering a call, activating Siri, call transfer work well and are easily activated. One of the nice customizations Jaybird has implemented with the X2's when setting the volume up or down from the control stick, the iphone also adjusts the device volume in sync with the X2's. I have had other headphones where this is not the case and you have instances where the volume of the headphones is out of sync with the volume of the device. Jaybird has also removed the "beep" whenever a volume button is pressed. Some people may prefer that, but I found it annoying and am glad Jaybird removed that from the X2's. In terms of the quality of the microphone during phone calls and using voice commands with Siri, I would have to say that it has been greatly improved when compared to the Bluebuds. Conversations held outdoors, even in NYC with the X2's resulted in the other person being able to hear me without issue. Put quite simply, battery life is simply amazing for a piece of technology as small as the X2's. I have been able to get a strong 8+ hours during normal use during a given day. Most days I use them for shorter periods of time so I really never have to worry about running out of juice at inopportune times. It's actually quite amazing how these small buds even outpace the Beats PowerBeats 2, which get about 5 hours and are physically larger than the X2's. Jaybird offers a 1 year limited warrantee for defects but has a more generous lifetime replacement warrantee for any damage caused by sweat or moisture. The X2's come in a variety of colors such as Storm (White), Fire (Red), Midnight (Blue), Alpha (Green), Ice (Light Blue), and Charge (Yellow). The wire that connects the two earbuds is a flat matte black cable which reduces tangles. In terms of accessories, Jaybird doesn’t skimp with the X2's. Provided are a nice, soft touch plastic carrying case, three sets of wingtips, and six pair of earbuds, three rubber versions and three Comply foam tips in small, medium, and large sizes. As I mentioned in the beginning of this review, the older set of Bluebuds had a terrible time with skipping in the rigors of NYC. Many people I have spoken to that have the Bluebuds don't seem to have the signal breakup issue but then again, none of them live in NYC. That being said, the redesigned X2's do a better job at maintaining a steady connection to my iPhone. Deciding to put the X2's patented Signal Plus technology to the test, I went to the one of the most busiest and densely packed places in NYC, Times Square. Walking thru a busy midtown Manhattan during the day I can get the X2's to skip while having the iPhone in my back pocket. Placing the iPhone in my front pocket does help reduce the occurrences of skipping most likely due to the X2's having the iPhone closer to them. I called Jaybird tech support to discuss this issue with them and they suggested performing a hard reset of the X2's by putting them into pairing mode then holding both volume buttons down until a beep is heard. The hard reset re-loads the X2 firmware (the program that tells the device how to work). The combination of hard reset and re-pairing of the X2's to the iPhone seems to have improved the situation. I can now walk thru various areas in the city and not get "significant" signal breakup. Overall the situation has improved but if you live in a major metropolitan city and plan to use these outdoors, plan for some signal skip. If you are looking for a pair of in-ear wireless earbuds, look no further than the Jaybird X2's. Quite simply, they are the best Bluetooth wireless earbuds on the market right now, bar none. They sound amazing, provide a reasonable level of comfort while wearing them, have great battery life, and the controls work well with a modern smartphone such as the iPhone. The fit and finish of the X2's are a improvement over the older Bluebuds X and I suspect they will hold up over time. You can order your pair of X2's directly from the Jaybird website or visit a local Best Buy which also carries them.